If you want to sell products or generate leads online, a user-friendly, conversion-optimized website is Step 1. But when it comes to search engine marketing, it doesn't matter how beautiful your website is if people never get there. 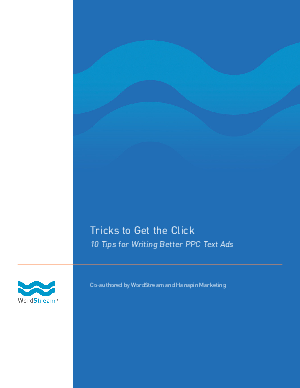 Download this white paper to learn the tricks to getting the clicks with better PPC text ads.